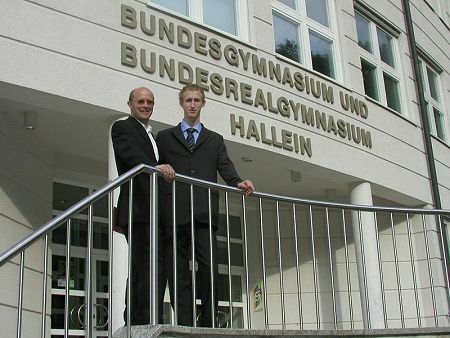 After eight years of hard studies our son Mike finally finished grammar school at „Bundesgymnasium Hallein“ on 16. June 2006. There was an official ceremony in the school building and a more inofficial barbequeue party later at „Gashof Langwies“. The photo shows Mike and his „proud father“ in front of the school building.